I am so excited to be sharing this Fiverr review with you simply because I have been blown away by the results. So here’s the thing, I have been a member of Fiverr for well over a year as a buyer and I quite liked it as a place to buy things I needed to run my business… I had heard a number of people saying Fiverr is a great place to make money but I have never really had the time or the inclination to bother with it simply because well you know, you hear so many things right? 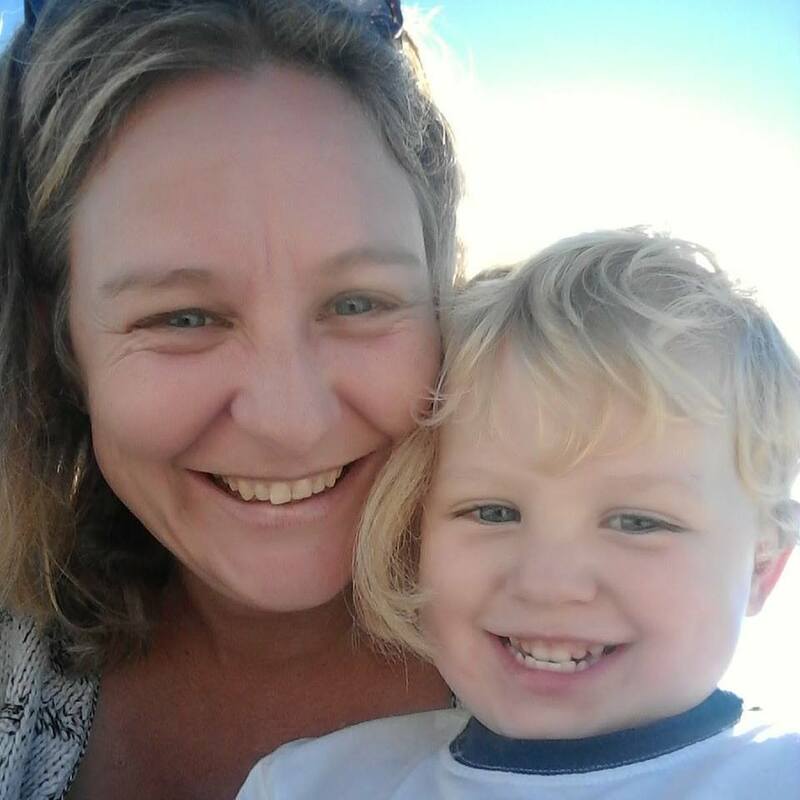 Well exactly 2 months ago, on Sunday 20th November 2016, I was messing around online and I am not sure why but I decided to put up a gig to publish guest posts on my mommy blog. So I published my gig, with honestly no expectations and I closed my laptop and went shopping…I came back and I had made a $40 sale. Since then it has been a whirlwind of awesomeness, selling guest posts on my Mommy Blog like hotcakes. I have waited until 2 months before writing my review so I can share some decent stats with you! 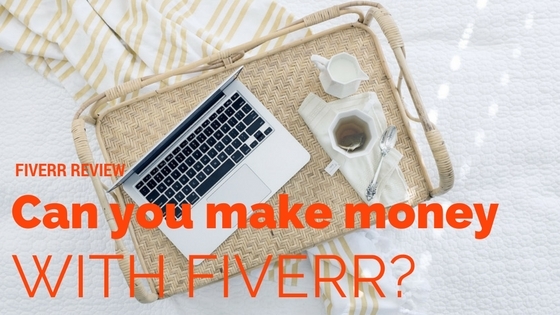 So can you make money with Fiverr? Well keep on reading! Fiverr is an international online marketplace. You can buy and/ or sell just about any task or service on Fiverr. Fiverr is mostly used by freelancers that connect with buyers globally. All tasks or services that are listed are called gigs and gigs start at $5 and go up in increments of $5, hence the name Fiverr. Well I just explained to you how fast I made my first sale from the moment I published my first Fiverr gig, it was probably in the space of about 2 hours. As you can imagine, that was a great experience so I quickly added a few more gigs. One to publish guest posts about online marketing on this website, plus a social media gig (which I’ve since removed) and a gig to sell the ebook I wrote about my drug addiction. Very soon I made sales on all of my gigs which excited me no end. It is not just about the money for me. I seriously get a kick out of it when I can add a new income stream to my business, but there is also the challenge of learning these things and mastering them. Within two weeks I had leveled up from being a “new seller” to being a “level one” seller on Fiverr. This entails being an active member for 30 days, making 10 sales and maintaining a high rating. Within two months I leveled up to being a “level two” seller on Fiverr – This basically entails making 50 sales within 60 days and keeping a good rating. In total I have so far made $594 on Fiverr. Although I myself have contacted Fiverr customer support on 3 occasions and had a great experience there have been many complaints that their customer support is terrible. Who is Fiverr suitable for? Everyone has a skill right? And if you have a skill you can sell it on Fiverr. There are some really interesting gigs being sold and the type of gigs range from content writing, voice overs, creating Youtube videos, editing Youtube videos, guest posts, social media marketing to things like spells! There are students on Fiverr that are offering gigs for pocket money, bloggers like me that offer gigs as an extra income stream and freelancers that use Fiverr as their full time income. They have a Fiverr Academy which will help you on your Fiverr journey. They also have a blog, podcast and a forum which offers loads of additional information if you get stuck with anything. You can contact customer support with any queries. I have read mixed reviews about the Fiverr customer support with many people being scathing about the apparent lack of support. That said I have contacted customer support 3 times in the last 2 months and each time they have come back to me quite fast and resolved my query quickly and efficiently to my satisfation. Perhaps I have just been lucky, or perhaps those were just moaners, honestly I can’t be sure. The only thing I can say is that my experience with Fiverr customer support was very positive in stark contrast with the complaints I have seen online. If I get shoddy service in the future I will be sure to come and update this review! You can also get great support from the community in the forum. Most definitely not, it is a great online marketplace with loads of potential. I have cashed out a few times and I am happy with my earnings to date. Of course you will find some rotten sellers and some rotten buyers on any online marketplace so be sure to do your homework before buying a gig from a seller you have never used before. Well I have had 53 orders in 60 days so of course my personal feeling is that Fiverr is an incredible place to market some services and get a little bit of extra income. 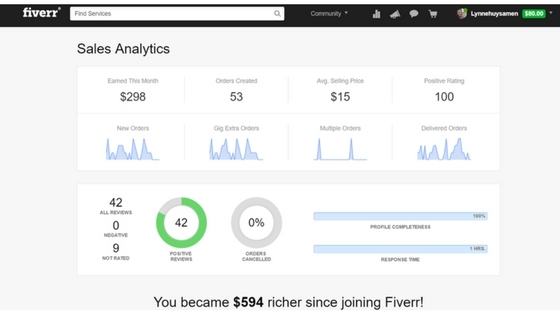 With some time and effort you could be making a full time income on Fiverr. Research your gig and your main competitors, check out the successful sellers and see if you can see what they are doing right. Be professional with setting up your profile and gigs, seriously spelling and grammar errors will do you no favours here! Hire a copywriter to make your gig stand out if English is not your first language and you are struggling. There are people selling gigs to do your Fiverr gig copywriting and it will be well worth looking into spending that money. Make sure you answer messages as fast as possible to keep your response rate good. Complete orders in plenty of time, try and complete them early to keep your customers happy. Make sure you provide value and get good ratings from your customers. Share your gigs on social media and on your website if you have one. I hope you have found this Fiverr review helpful, and I wish you great success there. If you have any questions please ask and I hope I can answer them since I am still quite a newbie at selling on Fiverr. Wow Lynne! Awesome results! Well done! I’ve had 2 sales so far and made $12. I just received my first query for a $50 order on fiverr but I’m not sure whether to go for it as it’s to write an article on each of my websites including a backlink to another site that’s not really related to either of my niches. I could make it work, but should I? What would you advise? There have been a few customers I turned away because although I might have been able to make it work I just didn’t feel that it really suited my website at all. I treat each sale individually on its own merits. It either feels right or it feels wrong, for me it really is as simple as that. I go with my gut feel usually. The other thing is that perhaps in the beginning take as many jobs as you can so you can get some good reviews and maybe even level up which will really help you along,then in the future you can start being more picky when there are a lot more orders coming your way. I am always wondering when seeing those gigs on whether there is enough demand to this talent supply! Hi Yaser 🙂 Well in my case it certainly has proved profitable! I am sure that even if you offer something that has a bit of competition and add in your own unique twist that you will do fine. There are loads of gigs for guest posts yet I have managed to make some really good sales. I think the same would apply for all services you can offer. I simply love to work on Fiverr and I have many clients there and it increases each day. Fast works, complex artworks and great clients, I can say that we are changing the world and the market with new jobs and new opportunities. From Brazil, I can work for many people around the world. I am so glad that you have also been finding success with Fiverr 🙂 It has been absolutely amazing for me and I am sure loads of people will benefit from joining too. Thank you so much for posting this. I have been tossing around the idea of joining Fiverr, but like you I have heard so many different things about it. I’m not sure why but you have convinced me to go ahead and give it a go. Great info and very convincing. Thank you for posting this. Well it was certainly a good move for me to join Fiverr and the sales are still rolling in which is so amazing. I wish you plenty of luck there! A nicely written review, honest and thorough. i will have a second look as I can be interested. one of the things that concern me is the time it takes to earn money on some of these affiliate programs, If you had to put an hourly rate to the work you do on fiverr, what figure would you estimate? Thanks for your honesty and for sharing.good luck. Wow, an hourly rate to my work… I am not sure I would be keen to earn by the hour to be honest. It really would also depend on the type of work you are doing. I mean think about it, if you are doing accounting or something highly qualified like that it would be a completely different rate to data capturing. I suggest you have a look at what other people are doing in similar types of gigs. Regarding affiliate programs – yes it does take some time to start earning from affiliate programs. I certainly don’t rely on affiliate income on its own. I like to have various ways of earning and when I find something nice that I enjoy I love to share about it without any expectations. In all honesty I haven’t even added my Fiverr affiliate link in here yet. I write for the love of it and share things that I enjoy. The money does come in, through Adsense, Youtube, sponsored content, guest posts, affiliate income and so much more. It takes a lot of traffic and then a lot of sales to make a decent affiliate income, and that of course does take time. That is awesome, yes I would love to chat about that. Congrats on your sobriety that is awesome that you are also blogging about your experiences. The more people that do that the better in my opinion. There is such stigma associated with addiction. I will email you as soon as possible Matt and check out your website. I am just busy with kids this afternoon, on my way out! Very helpful information about making money on Fiverr. I have been wondering what the potential is with this site. I have bought services from this site, but never offered my services to make money. Now, because of your review in this Post, I am super existed about offering services on Fiverr and actually making some bucks the way you did. Thank you so much and I will certainly share this Post to colleagues who I know would like this information as well. Thanks! – Matt B.
MattyB it is a pleasure and yes I was also just a buyer. I have been amazed at how I have made so many sales. Give it a go and I hope you have as much or more success on Fiverr as I have had to date! I’ve been a member of Fiverr but as a buyer. I didn’t realize you can quickly make money. Although I know it would require work before selling products/service gigs. I like how you posted the pros and cons giving the readers what they can look for to make a decision on joining. One of the pros you listed says they have an affiliate program. Are you required to sell in order to become an affiliate? Yes I was the same, I was a buyer there for a year before I considered publishing any gigs! I don’t think you have to be a seller to become an affiliate. I just click on “affiliates” in the footer menu of their website and applied. I was approved but I haven’t actually made an effort to promote anything yet. I’m going to add my affiliate link to this post, but I haven’t gotten around to it yet.